A group of scientists found that naked mole rats, besides from having immunity to cancer, also seem to challenge the Gompertz’s mortality law, which portrays humans and mammals as beings more likely to die as they age. The team, member of Calico Life Sciences LLC, owned by Google, published its article in eLife Sciences, in which they explain the biological characteristics of the little animal and its impact on their capability of surviving. This law states that human death rate is the sum of an age-independent component and an age-dependent component, which rises exponentially with age. The age-independent component is often associated with external causes that affect the quantity, so if an object of study is protected, like under laboratory conditions, the term can be inconsequential. The Gompertz-Makeham law describes the age dynamics of human mortality in the age window from 30 to 80 years of age. Usually, the age-dependent component stays the same, but the age-independent one can present variations depending on almost any external change. In the study, it is portrayed that the mammalian mortality hazards usually increase dramatically as a function of age, after sexual maturity. But, the naked mole-rat on the other hand, did not increase with this mortal hazard. Over 3.000 points of data on the naked mole-rat lifespan were gathered by the team of researchers, who claimed the mortality curve of the small mammal stayed flat. 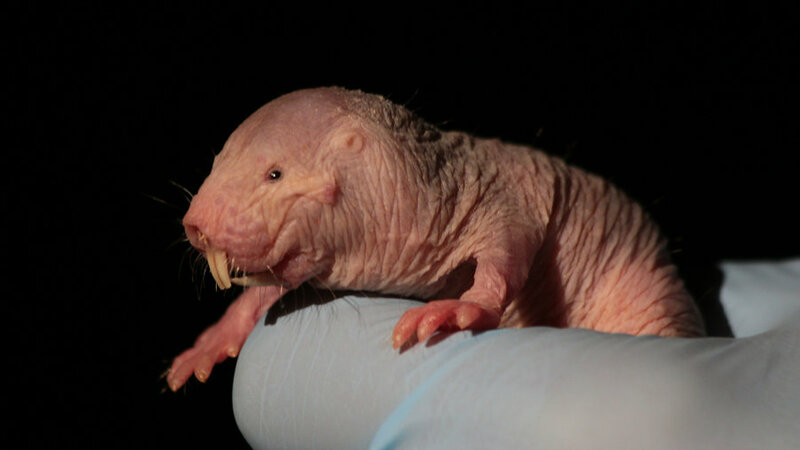 The naked mole-rat didn’t age, regarding being contrasted with the physiological decline of mammal organisms that tend to weaken and become more and more vulnerable to external challenges. So these organisms experience an increase of their mortality hazard that the naked mole-rat does not regarding age-dependent components by itself and affected by age-independent component. Still, according to the publication, these little mole-rats will eventually reach an age in which they explain, the biological wear and physical damage will be unconquerable. In the discussion fragment publication, it is described that the naked mole-rats age up until their 12 years approximately, and then it stops. They keep getting older, but they do not physically age. Ordinary mice live up to 4 years when captive, naked mole-rats go beyond 30 years. Still, some scientists claim that it is too early to say that these rats are non-aging animals since the aging in some mammals can occur much later than on the average ones. So the questions show up is when the naked mole-rat surpasses its 30 years. A biologist at the Leibnitz Institute on Aging, Jena, Matthias Platzer asks if the aging would be even possible to occur fast after crossing that 30-year line. At the end of the study, some notes are left to the team with the purpose of correcting some minor details of the publication. But, there’s one critique done by the reviewers that state the same concerns as the skeptical opinions above. The comment made by the reviewers explains that being 4.400 days (about those twelve years of aging mentioned) are only the 12% of the lifespan, it seems unreasonable for them to admit that the naked mole-rat does not age “when such a small portion of the lifespan” was studied. They still cheer the discovery after the comment. The response made by the team expressed they felt that the importance of the finding was not successfully communicated, and they strongly disagree with the denomination given to the lifespan portion studied. They argued that distance in the time of 3.000 days between the lifespans of mice and naked mole-rats is a sufficient amount of data to come up with their conclusions. The team argues that the concept of maximum lifespan is ridiculous for the non-aging species, and claiming the reviewers took the calculation of a century as the result of the concept forced into the mole-rat in a very realistic way. This made them change the number to a more pragmatic one of average lifespan, in which even external factors are now included. However, the estimate is still a lot greater than the one that can be calculated in other species.